How do we fairly apportion responsibility for child support in situations where the child resides approximately on an equal basis with each parent? The Supreme Court of Canada’s (S.C.C) decision, Contino v. Leonelli-Contino, 2005 SCC 63 answers this question. In this case, the S.C.C. examined the application of section 9 of the Child Support Guidelines. the conditions, means, needs and other circumstances of each spouse and of any child for whom support is sought. In reviewing section 9, the Supreme Court held that this section expressly provides a particular regime for shared custody, quite distinct from the presumptive rule of section 3 requiring support according to the Tables. The S.C.C. further found that all three factors listed in subsections (a), (b) and (c) of section 9 must be considered equally. In other words, none should prevail. The S.C.C. also concluded that there is No presumption in favour of awarding more or less than the Guidelines amount. Under section 9(a), the court must consider the financial situations of both parties. The simple set-off of the parties’ respective Table amounts is a starting point, that must then be followed by an examination of the continuing ability of the recipient parent to meet the needs of the child, given that many costs are fixed. Courts must be especially careful in variation applications where a rigid application of a set-off would result in a drastic change in support. Each party’s actual contributions must be compared to the Table amount he/she would be required to contribute, to determine whether adjustments to the simple set-off amount are necessary. Ultimately, the Court retains discretion to vary the set-off amount where it would lead to a significant variation in the household standards of living. 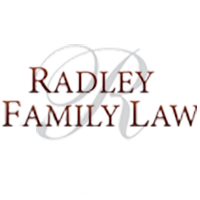 Section 9(b) recognizes that the total cost of raising children may be greater in shared custody situations than in sole custody situations. The court must therefore look at the payor parent’s increased costs and the actual spending patterns of both parents to determine whether shared custody has resulted in increased costs globally. These expenses will be apportioned between the parties in accordance with their respective incomes. Finally, section 9(c) requires the court to analyze the resources and needs of both parents and the children (which includes a comparison of the parties’ respective net worth). The court will consider the standard of living of the child in each household and the ability of each parent to absorb the costs required to maintain an appropriate standard of living. It is important to note that the analysis in sections 9(b) and (c) requires actual evidence to be led on increased costs by way of financial statements and/or children’s expense budgets. The court should demand this information from the parties when it is lacking or deficient. The court should not make “common sense” assumptions about the payor parent’s costs, nor apply a multiplier.